Kota Kinabalu: “The English language describe a group of baboons as ‘a parliament of baboon,’ the alpha male is the biggest of them all – it is the only one allowed to make the loudest noise or say the biggest lie” says Zainnal Ajamain a well know activist in Sabah and Sarawak on the rights of Sabah and Sarawak in the Malaysia Agreement 1963. Putrajaya must have allowed Pandikar Amin to go on a rampage about the Malaysia Agreement 1963 even to give him some air time in national television as part of Putrajaya shock and awe tactics on the Borneo states. This was to paralyze the Borneo states and undaunted them with lies and mis-information as truth and those who have been speaking the truth about the Malaysia Agreements to label them as liars, deceivers and full of hate – these are typical Orwellian methods applied to Sabah and Sarawak to exert control. Unfortunately, Putrajaya should not send a buffoon to do a man’s job – instead of paralyzing the people in Sabah and Sarawak into submission, the whole thing backfire, it becomes a unifying factor for Sabah and Sarawak to defy Putrajaya. In addition, such crass actions diminish BN chances to win in the next election both in Sabah and Sarawak. The only way out for Putrajaya now is to get rid of Pandikar Amin both as Speaker of Parliament as well as UMNO member. “Our state is equivalent to Malaya, hey come on man, kalau itu lah sebenarnya why is it not define, kenapa tidak di perincikan dalam laporan Cobbold sama IGC sama Malaysian Agreement. It is a matter of fact seperti clause yang saya cakap tadi Clause 10 of Malaysia Agreement Bab 2 ia lah ia menyatakan bahawa the colonies of North Borneo and Sarawak shall be federated with the existing state of Malayan government. It must be described as the state of Sabah. Very jelas bahawa taraf kita itu adalah sama seperti taraf negeri negeri yang sedia ada di semenanjung tetapi kita putarbelitkan. Anyone who look at this statement and has read the Malaysia Agreement would react to it as a blatant lie and Pandikar can lie with a straight face. There is no “Bab2” in the Malaysia Agreement 1963 and Article 10 of the Malaysia Agreement 1963 refer to the broadcasting and television rights for Singapore nothing to do about how Malaysia was to be structured. The Colonies of North Borneo and Sarawak and the State of Singapore shall be federated with the existing States of the Federation of Malaya as the States of Sabah, Sarawak and Singapore in accordance with the constitutional instruments annexed to this Agreement and the Federation shall thereafter be called “Malaysia”. There are two parts to this Article, the first part in italics (orange). Observe the way “States of the” is written in titlecase and not lowercase. It was put in titlecase because it denotes individual territory. Then there is the second part (blue) which says, “in accordance with” meaning “shall be federated with, in accordance with” this part refers to Annex A of the Malaysia Agreement 1963 which give the structure of Malaysia and define the position of the Federation of Malaya, Sabah, Sarawak and Singapore – Selamba ja si Pandikar tembirang dan cakap tiada. Meaning the second part of Article I the description and structure of the federation must be “in accordance with the constitutional instruments annexed to this Agreement.” This refers to Annex A of the Malaysia Agreement 1963. Annex A of the Malaysia Agreement 1963 is the Malaysia Bill. Malaysia Bill was to be tabled and debated by the Malaya Parliament and to be passed as Malaysia Act. The Bill was tabled on the 12 August 1963 and was voted on the 20 August 1963. There are seven set of Hansards between 12 August 1963 and 20 August 1963 (17 and 18 were weekends). Each of the Hansard consist of 500 pages of intense debate. As the Speaker of the Dewan Rakyat, Pandikar has access to these documents and could have done his own research. Parliamentarians in Malaysia are given paid Research Officers to dig out all these papers for them – unlike poor activist like me who are doing it to satisfy my own curiosity, driven by passion and conscience and this is the reason I cannot afford to give out my books or talks for free (anyone interested to purchase my books can contact me at the email address given below). Pandikar was wrong saying that the Malaysia Agreement never define Malaysia, at the same time indirectly he acknowledges he did not read the Malaysia Agreement 1963. For Pandikar’s information this is how Malaysia was structured and defined in Annex A Part II of the Malaysia Agreement 1963. 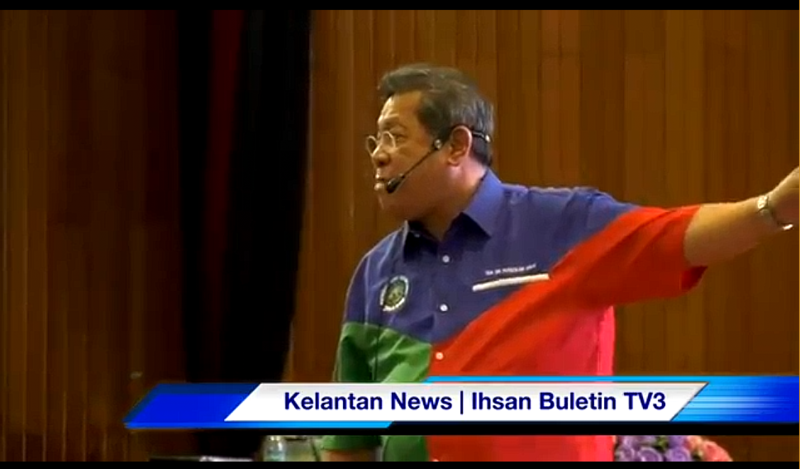 (1) The Federation shall be known, in Malay and in English, by the name Malaysia. I must iterate that Part II above was amended into the Federal Constitution as is without any changes. It was however, amended on 27 August 1976 without the consent of the State Legislative Assembly in Sabah and Sarawak respectively. This amendment made Sabah and Sarawak the 12 and 13 States of Malaya and become a bone of contention with Sabahans and Sarawakians. Whether this was done intentionally or unintentionally may be discussed in future. Sabah and Sarawak did not sign any agreement in 1957, Sabah and Sarawak only sign the Malaysia Agreement 1963. This is clear evidence that on 27 August 1976 parliament forced Sabah and Sarawak to be the 12 and 13 states in the Federation of Malaya. Sabah and Sarawak never give consent to this amendment. These are facts, it is not trying to get people to hate – it is just to educate the people their rights had been eroded. This is what Pandikar is trying to deny by acting dumb. The second part is Section 4(2) the States of the Federation means these are the entities that formed Malaysia not the 11 states that formed the Federation of Malaya. Malaysia shall be the States of Malaya, the States of Borneo and the State of Singapore, it did not refer to Johore, Kedah, Kelantan, Malacca, Negri Sembilan, Pahang, Penang, Perak, Perlis, Selangor and Trengganu. It merely stated that the States of Malaya is made up of (namely) Johore, Kedah, Kelantan, Malacca, Negri Sembilan, Pahang, Penang, Perak, Perlis, Selangor and Trengganu. There is no need to get an expert or a constitutional lawyer to explain this, anyone with sufficient English proficiency can do this – this means Pandikar command of English is also in doubt. The third part is Section4(3) this define the territories of Malaysia, mentioned in Clause 2 means Section 4(2). These territories are the boundary or the jurisdiction of the Federation of Malaya (the States of Malaya) the territories of Sabah and Sarawak. The territories of Sabah and Sarawak was extended by an Order in Council in 1954 to include the continental shelves but this was forcefully taken by the central government in 1969 (more of this will be discussed in future to refute Pandikar’s arguments). The rebuttal and evidence given above define and provide structure and jurisdiction for Malaysia and it is very clearly did not make Sabah and Sarawak at the same level as the 11 states of Malaya but at the same level as the “States of Malaya.” The “States of Malaya” is a collective noun meaning the Federation of Malaya. This can be clearly seen in the Election Commission notice for delineation of constituency boundary. The main problem here is not about it being defined, it was because of the weakness in the Malay language when translating from English to Malay. It is for this reason that in most agreement when there is any dispute between the English language and the Malay language, the English language shall prevail. The Malaysia Agreement 1963 is no different. Perhaps because of the weakness of the Malay language many amendments were made to the Federal Constitution since 1963 and these are breaches of Sabah and Sarawak rights as provided in the Malaysia Agreement 1963. Many were unable to reconcile between the Malaysia Agreement 1963 and the Federal Constitution. I do not blame them, it took me 15 years to understand them and their relationship. Alhamdullilah currently I manage to compile about 50 breaches so far.